Summer and Butterflies = Soon No More? Every summer, around the little lake in our neighborhood I used to see an abundance of monarch butterflies, serendipitous bliss. But they might vanish due to loss of habitat – and milkweed. “Beginning late summer through early fall, the monarchs you see in your yard emerging from their chrysalides have one main focus: eat to fatten up for their upcoming migrations. Winter habitats for these beauties range from coastal California for those west of the Rocky Mountains to central Mexico for those to the east. This epic journey can span 3,000 miles! 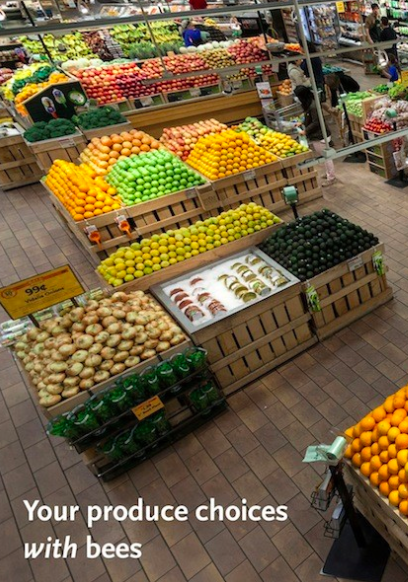 “Hoping to pick up some chocolate, apples, lemons or watermelon during your next outing to the supermarket? What about an iced coffee with a splash of cream? Bees, beetles, butterflies and their pollinating brethren are essential in the production of nearly 75 percent of our crops, and without them, you could count out all those foods — and many, many others. Pollinators are dying off in record numbers, and scientists are still struggling to figure out what’s causing the problem (pesticides? 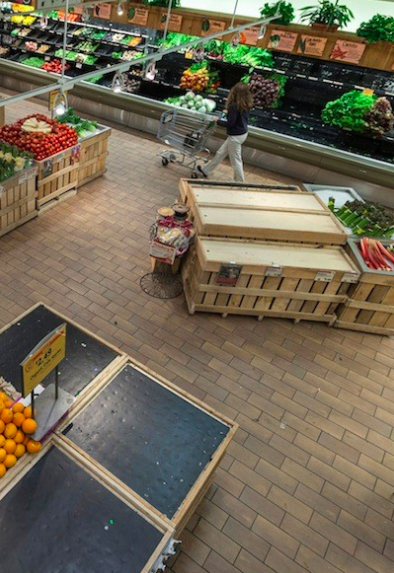 food availability? mites?). Today, a quarter of Europe’s bumblebees face extinction, and the beautiful and beloved migration of the Monarch butterfly — another pollinator — is in danger of disappearing. In a world without bees and butterflies we humans will probably not last very long. Pollination is mainly done by bees and butterflies, but there often is nothing for them to feed on. 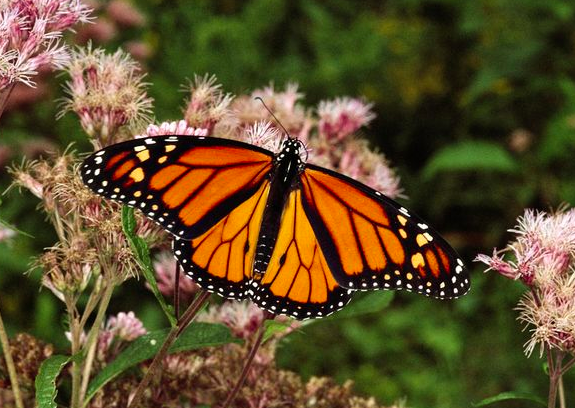 “About 75% of flowering plants rely on pollinators, such as the graceful monarch butterfly. But sadly, pollinators — especially monarchs — are on the decline worldwide. 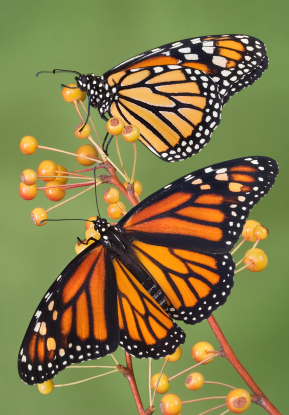 In fact, in California alone, the number of overwintering monarchs up and down the coast since the mid-1990’s has declined by nearly 90 percent. Since Pollinator Week is June 16-22, there’s no better time than now to help these beautiful, hard workers and a great way to do so is to turn your yard or garden into a welcoming haven. The best way to both help monarchs and attract them to your yard is to provide milkweed—an important host plant and food source for their caterpillars. There are many different types of milkweed plants, so be sure to check which are indigenous to your region before planting. Here are five types that are native to the eastern two-thirds of North America, except for showy milkweed, found from the central states west to California and Oregon. Whorled milkweed prefers really dry and sandy soils. Its white flowers appear between July and September and also entice native bees. Butterflyweed’s orange flowers attract many butterfly species in addition to monarchs, including tiger, spicebush and pipevine swallowtails. Common milkweed blooms purplish flowers from early to mid-summer. Be sure to plant with caution, as this plant’s aggressive nature can take over a garden. Swamp milkweed prefers wet conditions in the wild but many gardeners find that it will also take to the average garden soil.